The easiest way to explain how it feels to hold a crossbow is, imagine you are holding a cross between a bow and an air rifle. 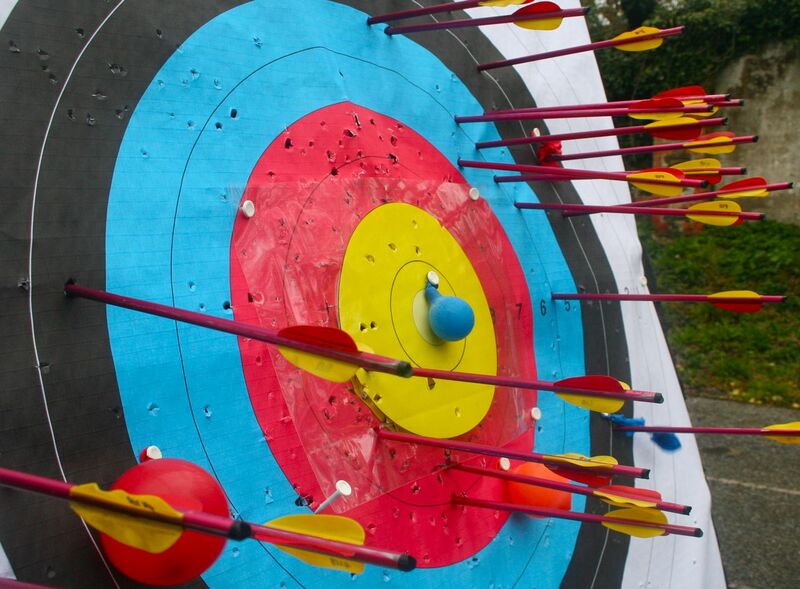 Crossbows require shorter arrows than those used in traditional archery, and these short arrows are slotted into a metal guide with 40lb’s of pressure set to go off. The trigger releases like a gun, add in laser sights, and you have a exciting looking sport! I arrived at the shooting gallery with high hopes of actually being alright at using a Crossbow as I have had previously used bows in Archery. The wind was gusting across the open-air site, so I was going to have to try and compensate for this somehow. Tommy, my “Go Active” instructor for the session, talked me through how to set the Crossbow up, and explained the risks involved if not done in the correct order. You really wouldn’t want this 40lb bow going off in the direction of anyone. The bows look very technical at first, but after its explained to you that everything has a use, and especially when you look through the laser sights and realise they are actually really simple to use, it all makes sense. I always wondered why the crossbows I had previously seen had a big loop design on the front, and this was quickly answered as I was shown how to put my foot in to it to enable you to pull the bow back ready for the arrow. Once set, you slot the arrow in with the odd coloured flight facing down, look thought the sights, line the dot of the laser with the end of the sights and put on what you want to hit. Then fire! 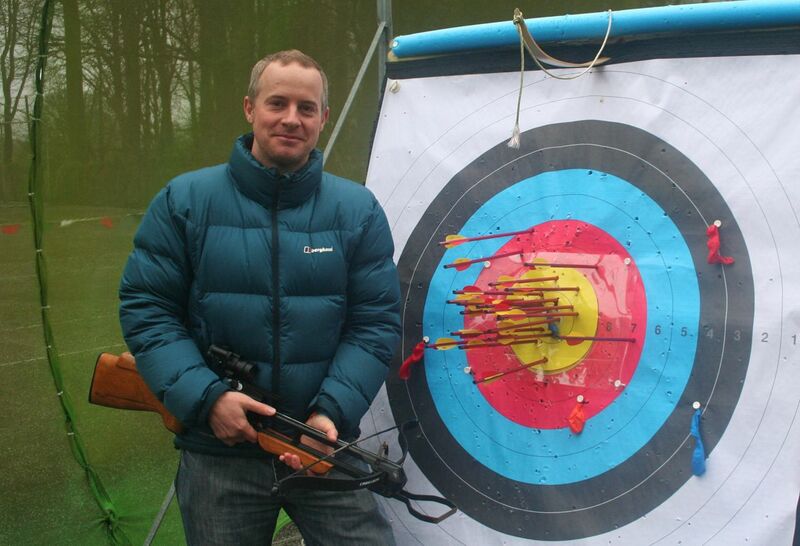 Confident I was OK setting up, Tommy let me carry on firing arrows at the Archery target. I took a few to get the feel of the Crossbow, as unlike Archery its very instant. A soon as you press the trigger, bam its in the target. Oh did I mention the side wind? Well I think it was sending my arrows off a little, but I won’t get away with it as an excuse! I soon found that shooting off to one side, or in to the wind was helping me hit the yellow on the target. I was getting really addictive, and then when balloons were added on to the target to shoot, things got really competitive. Although again I was the only one firing! After many arrows I finally popped every balloon. Judging by the cluster of arrows I think I did OK, I certainly found I was getting much closer to where I was aiming. 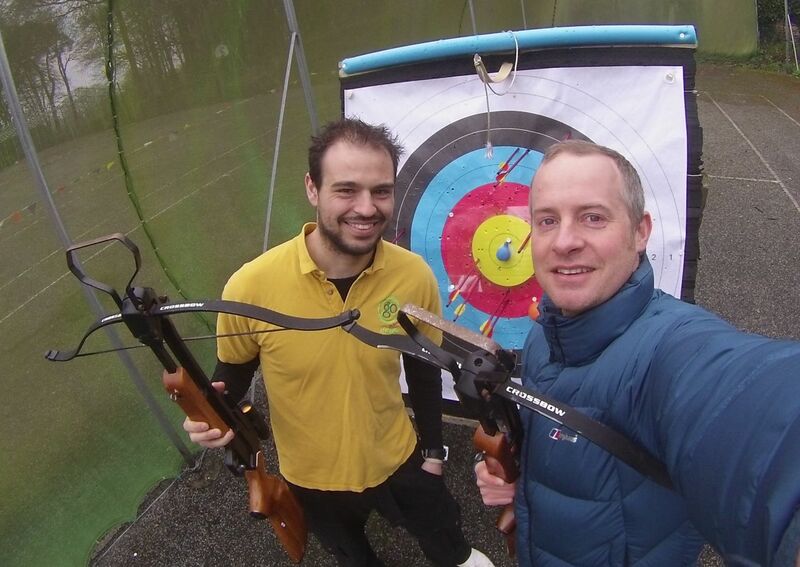 Crossbows in the wrong hands could be deadly as could lots of similar sports, but with the correct tuition as I was given, it was brilliant safe fun! I would definitely have a go again. To find out more about Go Active Breaks and Hengar Manor, click on these links!